i've gotten quite a few questions over the past few months about how to build a professional wardrobe. my best advice is to ignore any preconceived notions of what you feel you should be wearing to work and figure out what you feel comfortable in. i'm not talking about sweatpants-type comfort, but what makes you feel confident. it's taken me five years of getting dressed for work to finally have a good relationship with pants and my style has definitely shifted based on the different office environments i have worked in. so, this week i thought i would share with you a few of the pieces that i consider to be staples for my work wardrobe. first up, since i already mentioned pants, is my gray wide-leg pants. 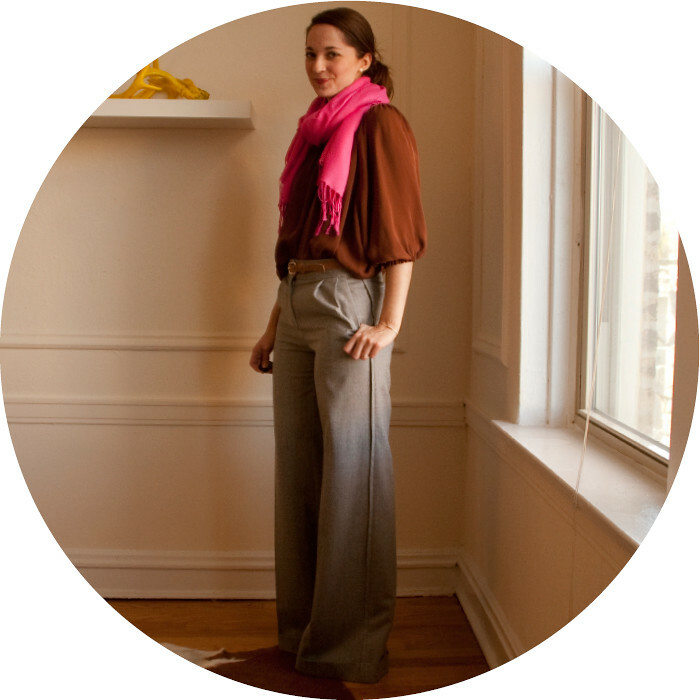 last winter i went on a pants quest and got hooked on the j.crew "hutton" fit.